New Jersey and Research – Together no Longer? In this position paper I will contend that New Jersey’s historical position as the leading research state in telecommunications is endangered, if it has not already been irreparably damaged. As New Jersey’s high technology industry revolves around two major fields – telecommunications and pharmaceuticals – the loss of one of these two bases would be highly consequential to the state’s economy and reputation. In what follows I will examine why there is a crisis in New Jersey’s research infrastructure. Inasmuch as I have been personally involved in New Jersey’s telecommunications research culture for more than four decades, it is impossible for me to write dispassionately about this issue. Thus much of this paper will recount and rely on personal experience. I recently chaired a study of the National Academy of Engineering on the health of R&D (research and development) in telecommunications. The report, entitled “Renewing Telecommunications Research,” is now in the final stages of publication. In brief, it paints a bleak picture of what has happened to telecommunications research, a past great strength of the United States, and of course, New Jersey. It proposes increased government funding and specific mechanisms to stimulate new research opportunities in this field. In this position paper I will not discuss the recommendations in the National Academy report, but I will frame the problem as it relates to New Jersey. For that reason, there will be more emphasis on Bell Labs than there is in the report. Moreover, in the interest of opening debate on this issue I will try to take simplistic positions without the usual caveats and qualifiers that necessarily fill official documents, such as an Academy report. The opinions that I will express are my own, and readers are welcomed to enter into a dialogue. • The Lucent Bell Labs building in Holmdel, New Jersey – one of the largest office building in the state – is scheduled to be demolished. Fort Monmouth’s Communications and Electronics Command in New Jersey is to be closed and moved to Maryland. The former RCA Sarnoff Laboratory in Princeton has been downsized and converted to a for-profit division of a west coast company. These events illustrate the decline of telecommunications research in New Jersey. • New Jersey is the birthplace of the industrial research laboratory, and as the home of the most famous industrial lab in the world – Bell Labs – had an enviable reputation for its research, as well as for the education and professionalism of its residents. • California’s Silicon Valley – which New Jersey once tried to emulate – as well as its world famous university system, has now moved the center of technology and talent to the west coast. • Bell Labs’ research funding came as an allowed component of monopoly pricing of the Bell System prior to its breakup in 1984. After that, research had to be funded from the profits of an intensely competitive industry. After the dot-com crash, there was overcapacity in the network and profits were elusive and unstable. • I argue that a competitive telecommunications industry is intrinsically incapable of supporting research. One unique characteristic of the industry is the free-rider problem, wherein competitors who do not support research can benefit from the research of others who do. Moreover, the basic product has tended to become commoditized, and commoditized industries do not historically support research. • The industry has restructured so that now almost all the research is done by equipment vendors like Lucent. Consequently, funding for research is both volatile and lessened. Research conducted by equipment vendors is not done for the primary benefit of the end consumer, but rather to sell product to the service providers, such as Verizon. • As the industry has vacated research, nearly all research is now being done at universities. Some 97% of research publications now are authored by academics. • As research has moved to universities, New Jersey does not have a particularly strong position relative to other states. • Government has a special role in funding telecommunications research because of the great social benefits that ensue. States also have a role, and California has a large state initiative – the California Institute for Telecommunications and Information Technology – that manages a large state-wide program. New Jersey has nothing equivalent, while its reputation and its talent inexorably dissipate. A long time ago I left school with a fresh PhD in electrical engineering, looking to decide among the easy-to-get offers from the great industrial research labs in the United States. The decision boiled down to two alternatives – should I go to California or New Jersey? While I was pondering this career choice, I came across an article about New Jersey in National Geographic Magazine. The article called New Jersey “the research state”, with special mentions and pictures of Bell Labs, the RCA Sarnoff Labs, and the Institute for Advanced Physics at Princeton, among other New Jersey research institutions. Well, I thought, if New Jersey was the research state, there was where I wanted to be. That article cemented by decision. In early 1962 I drove into the long driveway in Holmdel, New Jersey towards the entrance of the new Bell Laboratories facility that was to be my work location. I drove underneath the three-legged water tower designed to look like a transistor and past the reflecting pond fronting the all-glass exterior of the giant laboratory. I still remember the mist rising from the pond that morning and the pride I felt as one of the first people to occupy that huge landmark building. More than four decades have passed since I first entered that building, and in that time unimaginable changes have taken place. As a young researcher I harbored great dreams for telecommunications, but nowhere among those dreams was the idea of a home computer or an Internet that would connect me with people and information anywhere in the world. But all of this technology would pale in comparison with the stunning revelation that one day in my future there would be no Bell System, and that the great building I was entering that long-ago morning would no longer exist. Today the Bell Laboratories facility in Holmdel is virtually a deserted building -- one that was designed to house over 6,000 employees, but now has only about 1,000 occupants. The property has been sold to a real estate firm and the building is scheduled for demolition. In a recent visit there I was filled with nostalgia and sorrow to see weeds growing up through the pavement in the nearly-empty parking lot where once I hunted for any parking slot, no matter how far a walk from the side entrance. For many of us who had any association with Bell Labs or with research in telecommunications the impending destruction of the Holmdel Labs is the symbolic end of the era of the great industrial research labs. In telecommunications it attests to the fundamental restructuring of the industry and the shrinking industry commitment to basic research. For New Jersey it represents a significant loss of technical jobs and a blow to the state’s pride. 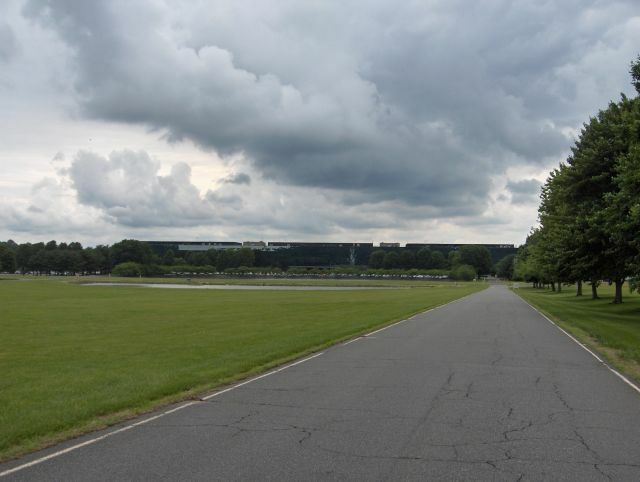 Moreover, a scant five miles from the doomed Holmdel research facility is the Army Communications and Electronics Command at Fort Monmouth, which is also scheduled for abandonment. Between Fort Monmouth and the Holmdel facility of Bell Labs, Monmouth County will have lost about 10,000 highly technical jobs. New Jersey has been world famous for two areas of research – telecommunications and pharmaceuticals – and one of them is now endangered. If today a young researcher were to choose which state – New Jersey or California – should be called the “research state”, is there any doubt whatsoever what that choice would be? New Jersey is considered the birthplace of the industrial research laboratory. In the early years of the last century Thomas Edison, the “Wizard of Menlo Park”, founded the first industrial research laboratory in West Orange, New Jersey. Although Edison is usually seen as the prototypical lone inventor, he had a staff of researchers who worked with him on a great variety of inventions. Edison is credited with over a thousand US patents, including fundamental patents on the telegraph, the motion picture projector, the phonograph, and of course, the electric light. Today Edison’s lab is open as a museum, and a tour there is like entering a time warp, returning to a simpler day of science. The wooden rooms are filled with glass beakers, stoppered bottles, and strange mechanisms. A chemical smell permeates the facility, and there is a strong feeling of this having been the precursor of the great industrial laboratories that would arise in the coming decades. The greatest of these industrial research labs was, without question, the Bell Telephone Laboratories, which was founded in 1925 by the Bell System. The first such lab was in New York City, downtown on West Street where a train actually ran regularly through the second floor of the building. Before the Second World War the main force of Bell Labs was moved to a sprawling location in Murray Hill, New Jersey. Bell Labs also built facilities in Whippany, New Jersey and, of course, Holmdel. During the period from about 1960 to 1983 Bell Labs employed approximately 25,000 people. Most of this force was dedicated to development of systems and components for telephony, but about 1200 engineers and scientists were engaged in very basic research, ranging from theoretical physics and chemistry through computer science. Bell Laboratories scientists have won six Nobel Prizes, and their discoveries and inventions have changed the world. Arguably, the greatest invention of the last century was the transistor, which was conceived by Bardeen, Brattain, and Shockley at Bell Labs in 1947. Other significant inventions included the laser, the light emitting diode, and the CCD (charge-coupled device – the heart of modern digital cameras). Claude Shannon’s information theory was one of the great intellectual achievements of the century, and Arno Penzias and Robert Wilson won a Nobel Prize in physics for the discovery of the radiation from the “Big Bang” that created the universe. In communication landmarks, Bell Labs scientist Karl Jansky first discovered radio signals from outside the earth and began radio astronomy on a hill near the future location of the Holmdel Labs in 1933. President Dwight Eisenhower sent the first radio signals to a satellite from this same location in 1961. Coincidentally, the inventor of radio, Guglielmo Marconi, had come to New Jersey in 1899, two years after he had made his invention in Bologna, Italy, and had transmitted the first radio signals in the United States from Atlantic Highlands to ships entering the New York harbor. I could go on at length with the list of achievements of Bell Labs, but that is well chronicled elsewhere. It is difficult to underestimate the importance and worldwide influence of this great New Jersey institution. Bell Labs was the envy of the world, and every scientist and engineer of note crossed the doors of this lab at one time or another in their careers. The other notable industrial research lab specializing in communications and electronics was founded by RCA Chairman David Sarnoff in 1942, occupying an expansive estate on the entrance road to Princeton. The Sarnoff Labs earned acclaim for its pioneering research on digital television and high definition television. Like Bell Labs, it has since fallen on more difficult times. After RCA became a part of General Electric, the Sarnoff Lab was donated to SRI and has since become a for-profit division of that west coast consulting company, existing on government and commercial contracts to fund its work. It is now considerably smaller than it was through much of its past history. I was fortunate to have been at Bell Labs during its “golden years” of the 1960s and 1970s. One of my lasting memories is of the second floor foyer near the steps to the cafeteria in Murray Hill. During the lunch period this foyer was always ringed with quiet researchers intent on games of the deeply intellectual oriental game of GO. Where else would people play GO during their lunch hours? At this time at Bell Labs there were artists-in-residence, and several well known researchers rode unicycles in the hallways. One famous mathematician had a net that could be pulled down from the ceiling of his office to catch wayward balls as he practiced his world-renown juggling skills. There was an air of scientific discovery and curiosity in the very corridors of the long building. I have always said that the best thing about the old Bell Labs was that there was a world expert in every subject of interest, and that the expert would be right down the hall. Even in the 1960s, however, there was a premonition of a different kind of industrial research paradigm coming about in California. It is a little known and almost forgotten episode in New Jersey’s scientific history, but there was an ultimately-abortive attempt to replicate Silicon Valley in New Jersey. In retrospect I must credit someone at Bell Labs or elsewhere in New Jersey’s scientific community with recognizing at an early time the importance of what was happening in California. A committee of research executives from New Jersey’s labs was formed, and this committee hired Stanford’s dean of engineering, Fred Terman – who is generally credited with creating Silicon Valley – to help replicate his California success in New Jersey. I remember well the exhilaration I felt listening to Fred Terman describe his vision for New Jersey at Murray Hill in the mid-1960s. Terman’s thesis was that as Stanford was the heart of California’s Silicon Valley, so New Jersey needed a university to serve as its own nucleus for a similar endeavor. Alas, he opined, New Jersey did not have such a university. Although Princeton had world renown for its physics research, it was too small and too uninterested in engineering innovation and development. Terman’s bold idea was that New Jersey should create a new university in the model of Stanford. Forty years later I can still hear in my mind Terman describing his thrilling recipe for the creation of a “Stanford” in New Jersey. Such a university, he said, needed only to have “spires of excellence.” The metaphor stuck in my mind of driving across the English countryside and seeing in the distance the spire of a distant church – the only visible sign of the next town or village. In the case of a university, Terman believed that a university’s reputation was not established by the size and quality of its staff, but by the few academic stars that were “seen” and known worldwide. Terman said that New Jersey already had many such spires of excellence. There were a multitude of world famous scientists in the state, including a substantial number of Nobel Laureates. All that was needed was an educational venue in which these people could volunteer their time. The premise was that the new university would have only a graduate curriculum, taught by these local scientific and engineering celebrities. Needless to say, this university never got started. After a year or so of enthusiastic committee meetings among the participants from New Jersey’s various industries, the project imploded. My understanding is that one of the major contributors (Exxon) withdrew its support during an economic downturn, and that the domino effect collapsed the rest of the support. In any event, it would have been nearly impossible to have kept together such a coalition over the necessary long period of heavy commitments with only the promise of vague long term benefits. Even if the graduate university had been created, I do not believe that it would have succeeded either educationally or as a nucleus for a New Jersey “Silicon Valley.” It is difficult to think of an existence proof of a famous university without an undergraduate program. Moreover, it would have been extremely difficult to gain the reputation needed to attract top quality applicants – the sine qua non of all great universities that separates the pretenders from those already established. Of course, the New Jersey industries would have sent some of their employees to the new school as part of their commitment to the endeavor, but that’s not quite the same thing as the competition for slots that exists at the famous graduate schools. The proposed school would have lacked the infrastructure and culture represented by the vast alumni networks of Stanford and of nearby UC Berkeley. In addition, those “spires of excellence” would have been drawn from the New Jersey scientific culture, which in the 1960s was not at all inclined to entrepreneurship. Finally, in retrospect there is considerable argument about whether a university like Stanford is either necessary or sufficient for the establishment of a vital entrepreneurial culture. Since 1960 there have been a number of attempts all over the world to replicate Silicon Valley, and I believe that none of these pre-planned programs have been successful. The areas around Boston and Cambridge in the UK are the best examples of organically-grown entrepreneurial activity, but even they pale in statistical comparison to California’s Silicon Valley. In a later section I will offer some opinions about the venture culture in New Jersey as compared with California, but for now I want to return to the history of telecommunications and its impact on New Jersey’s research community. It seemed during the 1970s that the “golden years” at Bell Labs would go on forever. But hidden under the surface of the good times were two tectonic shifts that would soon change the research landscape forever. One such event was taking place in the world of technology, where the nascent Internet was only a blip on the radar, while the other was more immediately evident, and was happening in the world of policy and legality. I was driving home from work one evening in the early 1980s when I heard on the radio that the US Justice Department had instituted an anti-trust suit against AT&T. I remember that moment, but I had no premonition at the time that anything cataclysmic would happen as a result of the suit. My thinking was conditioning by the previous AT&T consent decree in 1956 that had constrained AT&T’s businesses and had given away AT&T’s patents. As onerous as these conditions had been, they seemed to have had little affect on research at AT&T. The implementation of the Modified Final Judgment in 1984 required that a portion of Bell Labs be used to seed the creation of a Bell Labs equivalent for the operating telephone companies – the “Baby Bells” – that had been spun off from the parent company. The new research company became known as Bellcore. It was jointly owned the seven operating telephone companies, and as time went along it established research labs in New Jersey in Morristown, Piscataway, Red Bank, and Livingston. I use the term “research labs” advisedly for lack of a more descriptive noun, because – like Bell Labs – the majority of the engineers and scientists at Bellcore was not involved in research, but rather in software development, standards, and systems engineering. Of about 5,000 staff, only 500 or so were doing basic research. The original Bell Labs research organization had to “tithe” in 1984, giving 10% of its staff to the new Bellcore, while assuring under court order and supervision that the sample was fair and balanced in every measurable way. As painful as this was, because longstanding relationships were torn apart, from the standpoint of New Jersey’s research infrastructure it was beneficial. More research jobs were being created in the state. Bellcore was hiring to augment its seed staff, and now there were more research labs in New Jersey locations than before. Prior to 1984 Bell Laboratories was funded from what was known as the license contract fee, derived from the telephone service revenues of the operating Bell companies. AT&T had a monopoly position in the telephone business, and the rates that were charged for service were overseen by the Federal Communications Commission. As long as the FCC agreed that the R&D program at Bell Labs was reasonable, the expense for Bell Labs could be added as part of the rate base to determine the charges to businesses and consumers for telephone service. In other words, a small amount of the monthly fee a customer paid on his telephone bill went to fund Bell Labs, almost a government-sanctioned taxation. In 1980 the budget for the research area (just the area that did fundamental research) was approximately $300M. If there were roughly 100 million customers in the US, then the fee charged the average consumer for research at Bell Labs would have been about 25 cents a month. From this miniscule fee had come the transistor, laser, and much of the technology that had built the best telephone system in the world. In terms of social benefit, it was a great bargain. It is characteristic of fundamental research that it thrives on stability of funding and environment, and prior to 1984 these attributes unquestionably existed. Even on the very eve of divestiture in early 1984 I don’t recall any sense of urgency or impending disaster in the research department. It was perhaps both easy and necessary for researchers to imagine that their jobs and charters would remain unaffected by the business headlines surrounding the anti-trust trial. But for all the angst of the AT&T breakup, it was not the division of the company itself, but the emergence of competition in the industry that endangered basic research. The stability of the monopoly funding was gone; AT&T would have to fund Bell Labs from its own profits in a newly competitive environment. AT&T executives in 1984 exuded a confidence about the company’s future. After all, AT&T owned “the network”. It represented an enormous total investment that had been built over the period of a century. Who could threaten such an asset? Unfortunately for AT&T, the answer proved to be a lot of companies. Two factors made this possible: the development of optical transmission and a permissive business and regulatory environment favoring the emergence of competitors. The first major competitor to threaten AT&T’s core business was MCI. In the beginning MCI offered cut-rate service over lines that it leased from AT&T, but within only a few years optical transmission systems became so cost effective that MCI began to build their own network. Other companies began to do the same thing, and incredibly, in 1988 AT&T wrote off their entire old analog network, an accounting loss about 6.7 billion dollars. AT&T was building its own new network just like everyone else. That irreproducible asset – the national telephone network – had turned out not to be so valuable after all. With competition building, the price for telephony services began to decrease rapidly. Between 1984 and 2002 the average price per minute of a phone call declined from $1.20 to 25 cents. Some of this decline was undoubtedly due to technology, as optical transmission made long distance transmission nearly free, but competition also undoubtedly played a big part. At the same time, the Internet was taking off, mobile telephony was growing, and new services were proliferating. It was a heady time in the industry. Many people saw this as a triumph of divestiture, but it is impossible to know what would have happened if AT&T had not been broken up. As the pricing of telephony plummeted, there was necessarily much more focus on the bottom line. The strange and almost unfathomable economics of the industry made the price competition quixotic. Telecommunications is essentially a service business. There is no calculable price for a telephone call, as there would be for the manufacture of a widget. I often think in the roughest terms that the price of phone call is the payroll divided by the number of calls. This, of course, ignores capital costs and debt management and many other important factors, but it’s a crude way of thinking that accentuates the difference between telecommunications and a traditional manufacturing business. The incremental costs of adding an additional phone call are essentially zero. Moreover, the allocation of pricing between different categories of service, such as consumer and business, has always been a subject of contention. There have been learned arguments that either consumer services subsidized business or vice versa. This means that the possibilities for competitive pricing in various niches are plentiful. One industry analyst said, “It’s like the DRAM (computer memory chip) business; pricing is set by the most idiotic competitor – it’s a race to the bottom.” At the time of that quote, the analyst was unaware that AT&T was competing with a chimera. It was later discovered that the Worldcom (MCI) profits had been a bookkeeping sham. By the time that chicanery came to light, however, the damage had been done. Since research was a line item on the cost side of the ledger, it might have been an early victim of the divestiture, but instead it was saved by the dot-com boom of the nineties. Telecom was one of the favorites as the market surged and deals went down right and left. In the midst of this boom AT&T decided in 1996 to break itself up further with its own trivestiture, creating a services company, AT&T, an equipment company, Lucent, and a computer company, NCR. Then in 2000 Lucent spun off a networking company, Avaya and in 2001 further spun off a microelectronics company, Agere. As a result of all this corporate activity, the old Bell Labs was now split among at least five companies – Lucent, AT&T, Bellcore, Avaya, and Agere. What became lost in the process was the critical mass that made research so vibrant and effective. That world expert in physics, software, or microelectronics, or whatever was no longer in easy reach down the hall. He or she was in another company with its own trade secrets and access barriers. 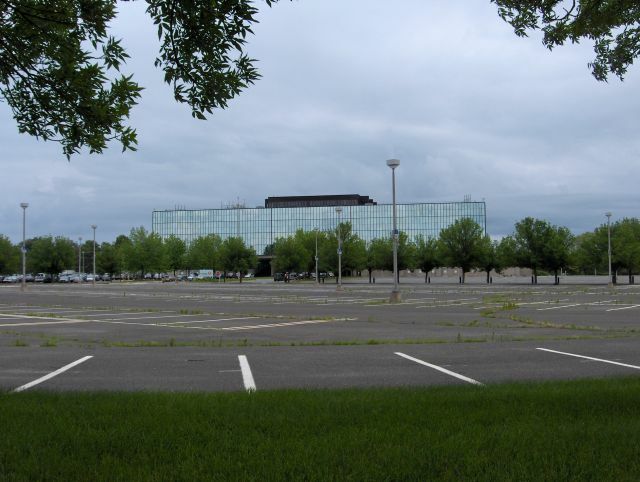 The largest part of the old Bell Labs was at Lucent, which retained the large campus in Murray Hill, New Jersey and the huge modern glass building in Holmdel. Lucent featured Bell Labs technology in its advertising and continued its generous support of research. Historically, AT&T had devoted 1% of its revenue to research, and Lucent adopted that policy itself. In the good early days of Lucent, while the market surged, it was almost difficult to find imaginative ways to spend the money that was being lavished on research. Then in 2001 and 2002 came the dot-com crash. The NASDAQ lost 78% of its value, and the market cap losses in telecom were estimated to be about four trillion dollars. The telecom industry had greatly over-invested in capacity, and huge debts hung over the industry. Can a Competitive Telecom Industry Support Basic Research? The turn of the millennium was the moment of truth. The euphoria of the dot-com bubble was dissipating, and the reality of the new industry was becoming apparent. It is not my purpose here to discuss in any detail the economics of the telecom industry; there are much more learned discussions elsewhere. My concern is with the impact of the restructuring of the industry on its ability to fund basic research. Before I even discuss the issues, let me answer my own question. I believe that the answer is no – that the industry is no longer intrinsically capable of supporting fundamental research. There are a number of issues here, some of which are unique to telecom and others of which are shared by any competitive industry. Let me start with the obvious – if research is to be funded from profits, then there must be profits, and those profits must be robust enough to allow funding for an activity – research – that often sinks to the bottom of the food chain. Moreover, top management must believe that there will be a return on investment (ROI) from research and that this return will occur within the timeframe demanded or desired by investors. My contention is that there has been a general withdrawal from industrial research across a broad sector of American industry. The era of the great industrial labs – Bell Labs, IBM, GE, RCA, GM, and so forth – is gone. But even the residue of this period is drying up. A new report by the National Science Foundation asserts that there has been a trend among leading American industries to eliminate much of their high-risk, long-range, and fundamental research. Instead, they have turned their focus to short term results and to incremental improvements of current product lines. In spite of AT&T’s long standing commitment to basic research and to the great achievements Bell Labs has made, even here it is hard to make the case that the company has seen a significant return on its research investment. There are many examples of Bell Labs innovations that have yielded great social benefits, while failing to return any profit to the company itself. A classic example is the computer operating system software UNIX, which is in widespread use throughout the Internet. This software, as well as the computer languages C and C++, was written in the research department at Bell Labs. AT&T made several concerted attempts to turn a commercial profit on UNIX, but in all likelihood never made any profit whatsoever on its investment. I and all of my peers in research and research management are convinced that corporate America has backed off from any commitment to basic research. Nonetheless, this is a belief that is almost impossible to prove. There are no reliable statistics on research funding in industry. What is considered research in one company is development in another, and there is no metric for reporting the time frame of research or what part of that research is considered “fundamental”. Instead, there is anecdotal evidence from researchers and managers everywhere. The National Science Foundation report that I mentioned previously was based on surveys of research directors. So the difficulties in maintaining funding for basic research in telecom are in one sense a part of a larger tapestry in American industry. However, the situation for research in telecom is historically unusual in several ways. Perhaps most important was the overhang that Bell Labs created by its dominance of the entire field. For that reason government funding agencies had long felt that it was unnecessary to fund telecom research and instead spent their support on other areas, such as computer science, that were in comparison neglected. And, of course, because of the AT&T monopoly, there were not other significant industrial research labs devoted to telecom. The fragility of research funding in telecom after the dot-com crash was greatly exacerbated by the volatility of the industry. Profits were elusive and moved from one part of the business to another – notably from wireline voice to wireless and data. Moreover, this was an industry new to competition and in the throes of technological revolutions and corporate mergers and acquisitions. It was not a good time to count on stable funding for research departments. Today there is some sense of greater stability in the industry. A series of mergers has resulted in a trend toward consolidation. People often quip that the industry is trying to undo the divestiture and recreate the Bell System. The Columbia economist Elie Noam has argued for some years that the natural state of the industry would be to have dominant players in each sector of the business, and that the primary competition would be intermodal, that is, competition among the dominant players in wireline, wireless, cable, and satellite. Any sense of stability, however, is undermined by the underpinnings of technology driving the cost and price of telecommunications ever downward as services become commoditized. I sometimes wonder if there is any bottom to the price that can be charged for telecommunications, and then I answer my own question – it may be free. I already expect broadband Internet access to be free wherever I travel, and with Internet telephony riding on top of free broadband access, where is the profit to be made? Already today Skype offers free voice telephony, and its usage and services are growing rapidly. So can a bitterly competitive industry whose basic service is tending to be free support basic research? I think not. As bad as the preceding business arguments are, the very nature of telecommunications argues against industrial support of research. Research in telecommunications often takes the form of a non-excludible public good, with much in common with the classic economics conundrum: how do you fund a lighthouse? In the case of a lighthouse any passing ship can use the services of the lighthouse, whether or not they have paid for its support. There is no viable way of excluding non-paying ships from participation in the good. I suppose there are examples, but it would seem that a private lighthouse would be a bad investment. Unfortunately, the same elements are present in telecommunications research. Consider the paradigm for funding research in the pharmaceutical business. One pharmaceutical company can sponsor research that finds a better drug, which is differentiated by its effectiveness as compared with drugs from competitors. Perhaps, even, it acts against a disease for which there is no comparable drug available from competitors. Because of this differentiation, and because the composition of the drug can be protected by patents and trade secrets, the originator of the drug can charge high prices for the drug, thus recouping its research investment and enabling it to re-invest in future research programs. Almost nothing in this example applies to the telecommunications business. In telecommunications differentiation is usually bad, since it works against connectivity and interoperation. In telecommunications every user must have very similar equipment so each user can exchange data with everyone else. The more users that share a telecommunications service, the more value for every user -- in other words, the more the merrier. In economic theory this side effect of gaining value with each compatible additional entrant is known as network effect, or network externality. The network effect argues strongly against individuality. Telecommunications is informally governed by international standards to which every equipment and service provider rigidly adheres. Some of these standards run to a thousand pages or more of detailed specifications that must be incorporated, while leaving only some details of actual implementation open to the design discretion of individual manufacturers. Companies with patents cannot prohibit other companies from licensing their patents at reasonable rates, because otherwise the subject of their patent will not be chosen as a standard, and if no one else uses the invention, they can’t either. If research cannot be protected and cannot provide differentiation, why do it? Let someone else do it, and adopt their ideas. After the divestiture of AT&T, the new competitors all decided not to do any research. MCI had no Bell Labs equivalent and took pride in their policy of eschewing research. Their chairman, William McGowen is said to have told congress that Bell Labs was AT&T’s “expensive hobby.” Nonetheless, MCI was able to take full advantage of all the technology that had been created at Bell Labs in the implementation of its own long distance network. An issue that was to become pervasive in the research infrastructure was only starting to become apparent – that of the free rider. An example of the free rider phenomenon that was especially irritating to researchers at Bell Labs was the famous Sprint “pin drop” commercial. In slow motion it showed a pin dropping. Because Sprint’s network was optical, the commercial inferred that you could hear this miniscule sound. (In point of fact, the absence of noise was because the transmission was digital.) Because of the appeal and ubiquity of this advertisement, many if not most in the public believed that Sprint had created optical transmission systems. They had not – it was largely the work of Bell Labs (though Corning Glass is credited with the initial breakthrough on the fabrication of low loss fiber). But all the Bell Labs innovations in optical technology were used by everyone else, including the cable industry players. Starting with MCI’s decision not to support research, essentially all of the service providers have abandoned research. Before 1984 all of the seven Bell Operating Companies had their own research labs. At divestiture the agreement included the necessity for these companies to share their own equivalent of Bell Labs, which was Bellcore. All seven companies supported the Bellcore research program, which at that time had a total support of a little more than 100 million dollars. Partly because of this shared facility, each of the operating companies dismantled its own research laboratory. There was also considerable motivation for this decision in trying to compete with new entrants who did not have the expense of funding research. After a few years the Baby Bells began to compete with each other. Their lawyers began to feel that having a shared facility providing software, systems engineering, and research was likely to lead to anti-trust issues. For this reason, or perhaps because they had become tired of the expense, they decided to sell Bellcore to SAIC (Science Applications International Corporation). After the sale, they supported research at Bellcore on a subscription basis with declining amounts over a few years and then withdrew completely from any research support. Like all of their service provider competitors, they believed that it was unnecessary to conduct any research. Bellcore, renamed Telcordia, was sold two years ago to a financial entity. Their research budget is now approximately half of what is was in the years after divestiture, and the majority of this funding is being obtained from the government to work on specific military applications. Of the seven original Baby Bells, only SBC retained the vestige of a research lab – a relatively small lab in Austin, Texas, that mostly did testing and contract engineering. Then, when SBC bought AT&T and took its brand, it became the owner of the AT&T Labs, headquartered in Florham Park, New Jersey. Considering that no other service provider does research, the future of this lab would seem in jeopardy. However, indications are that for good will alone this lab would be secure for at least a few years. Research by service providers has had a mixed history in terms of its return on investment. There are certainly examples where research has improved the efficiency of their operation – routing strategies and voice synthesis for automated response come to mind immediately. On the other hand, research on new applications and services seems to have had few successes. Almost all new applications have come from outside the telecom service provider community. Ideas like peer-to-peer file sharing are unlikely to occur, given the centralized control culture common to the industry. Perhaps the most important paradigm change caused by the Internet was to enable the user at the periphery to implement new services without needing cooperation from the central network. Millions of users were thus enabled, and their combined creativity far exceeds that available to the operating telephone companies. Quite a few years ago I gave a talk at the FCC. I have no idea what it was about, but I will never forget something that the speaker before me said. That speaker was Mitch Kapor, the originator of the software Lotus 1-2-3. Kapor said that the greatest invention of the computer industry was not the PC, but the concept of a third-party plug-in on a standard backplane bus, so that innovation could be enabled by a plethora of other manufacturers. Telecom did not have such a concept, Kapor said; everything had to be implemented by the central carriers. At the time I thought this idea was impossible to apply to the complexities and centralized control of the telephone network, but I was wrong. The Internet changed all that. Prior to divestiture, AT&T was a vertically-integrated company, providing services while doing its own manufacture. In the old model, the Bell System encompassed every need to furnish both network capability and services to the end user. Of course, that ended with the breakup in 1984. Since that time the industry has become a horizontally-structured sector, with separate companies being service providers, application developers, and equipment manufacturers. This restructuring of the industry has had a profound effect on telecommunications research. What has happened is that almost the entire research burden has fallen to the segment of the industry represented by equipment manufacturers, i.e., Lucent, Alcatel, Nortel, Cisco, and others. There are two major problems with this placement for research – the amount and the volatility of funding available for research, and the beneficiary for whom the research is intended. Obviously, with large sectors of the industry abandoning research, there is less total funding available. The service providers claim with some justification that they continue to pay for research in the prices that they pay for equipment, but with intense competition among the equipment vendors – not all of whom support research – it is difficult to support increased prices from those who do sponsor research. Given the stringent standards that all equipment must adhere to, significant product differentiation is hard to achieve. Among the equipment vendors, only Lucent continues to support a relatively large research program at Lucent Bell Labs. Through difficult times they have steadfastly given one percent of their revenues to their research program. They deserve a great deal of credit for sticking with research, but as their revenue has shrunk, so has the research budget. With this year’s revenue projected at about $8B, that one percent would mean $80M for research. Compare this figure with the research funding prior to divestiture, which was a little more than $300M. It is no wonder that the Holmdel Lab has to be sold! Not only is there less revenue from which to draw the research budget, but the volatility of revenue in the equipment vendor segment can be extreme. All of the equipment vendors compete for the capital expenditure budgets of the service providers. Depending on the service providers’ fortunes, this is an amount that can vary widely. The equipment vendors have only a small number of customers, these customers have a great deal of power to influence design and pricing, and these are customers whose financial performances are well correlated. If one is having a bad year, so may others. After the bursting of the dot-com bubble, there was over-capacity in the network. All of the service providers cut back their cap-ex budgets, and the equipment providers were left to compete for a total cap-ex pot that went from $119B in the year 2000 to $53B in 2003. This is hardly the kind of business that can maintain stability of funding for long-range, fundamental research. In the old days at Bell Labs, research was devoted to making the best possible telephone service for the end user, that is, you and me. It really was akin to some kind of religion, although Judge Greene was skeptical that our motives were more profit-oriented and anti-competitive. I still believe, however, that in those days researchers had almost no sense of a profit motive. In any event, those days are gone. Now that telecom research is in the hands of the equipment vendors, like Lucent, the focus is no longer on the best service for the end user, but instead is completely bent to the needs and desires of the large service providers. As a simple example, I have a cell phone manufactured by LG Electronics and sold through Verizon. Was that cell phone designed with me in mind, or with Verizon in mind? The answer seems obvious. In spite of the fact that there is a USB port on the camera phone, pictures that it takes cannot be downloaded directly to my PC. Instead, I must send the pictures to my PC through Verizon at a cost of 25 cents each. Similarly, all cell phones must now incorporate GPS so that location can be obtained for 911 calls. But the GPS capability can only be accessed through a monthly subscription service, not as a stand-alone capability for the user. Obviously, Verizon and the other service providers have a lot more market clout than you or I. It is their needs that are being met, whether or not they are in the best interests of the end consumer. The economic benefits of network externality apply to research that may be shared among all users, but the equipment providers instead must concentrate to whatever degree possible on differentiating their products to sell to the service providers. Research that is funded by end users should, in contrast, concentrate on standards, common technology, and shared benefits. This is why the current industry structure is flawed with respect to its research paradigm, and why government funding of research on behalf of the end user is needed. Who Does Telecom Research Today? In the preceding sections I have argued that the telecom industry today is incapable of supporting fundamental research in the way that it once did. So is telecom research to be completely abandoned, or can it be funded otherwise and done elsewhere? There are people who occasionally say that perhaps telecom is no longer a field that is fruitful for research. After all, optical transmission has made enormous capacities plentiful at miniscule costs, and the Internet is so embedded in every computer and application that it would be almost unthinkable to change it in any fundamental way that would disenfranchise current equipment and applications. But the whole history of telecom research has been one of continued breakthroughs that have benefited humanity. In recent years the pace of research breakthroughs seems unabated. The hot topics today are centered mainly on wireless technology and networking strategies. The wireless spectrum has been opening up to almost unlimited capacity due to very sophisticated signal processing that has only recently been invented. In networking, researchers are looking to improve the security and dependability of the Internet. Of course, the most important discoveries and inventions in the future are those that will surprise us. Some reviewers of the National Academy report on telecom have said that we should prove that there is diminished innovation in telecom because of what is happening to industry research. But that is impossible to prove. What did we not invent that we should have? The truth is that we will never know what we have missed. The only measurable event would be the transition of industry dominance from this country to another. Today there are as many research publications and conference presentations on telecommunications as there have been in prior decades. My own belief is that there is a lower standard of novelty and importance in these publications, but that too is impossible to prove. The number of papers and presentations is not determined by the expertise and funding of research, but rather by the availability of publication space and conference time. There may be some analog to Gresham’s Law about bad publications filling up the space formerly occupied by “good” publications. If there are as many publications as ever, and industry has stopped funding research, who is writing these publications? And the answer is, overwhelmingly, academics. Today the great majority of all research papers are being written at universities, a little more than half of which are outside the United States. In order to get the most recent available data, I surveyed the approximately 1300 papers presented at the two major international communications conferences in 2005 – the IEEE International Communications Conference and the IEEE Global Communications Conference. This data was even more striking. Only a scant 3% of these papers were authored by US industry! Since the breakup of the Bell System, it might be argued that new industrial research labs have taken the place of the traditional telecom companies within the research community. However, this data would suggest that only Qualcomm has contributed to the published literature in the usual venues. In the authorship data another trend is quite evident. In the papers published in Globecom 2005 (St Louis), 459 of the 675 authors from US universities (68%) have Asian surnames. We do not know how many of these authors are US citizens, but the implications for our visa policies are clear from even the most casual perusal of the programs for these conferences. We do know that 56% of PhDs in engineering and 45% of the PhDs in computer science are being awarded in the US to foreign nationals. The bottom line of all this data is that research in communications today is being done largely by foreign national graduate students at US universities. This is where the influence of Bell Labs is missed. It is unnecessary for industry to dominate research publications, but it is necessary for them to lead the universities in the direction of problems with practical importance by having enough of their own publications to establish the important issues. In my opinion, this guidance is now missing and much of the university talent is being wasted. It would seem that government has an important role in funding research in telecommunications, and that role is more important now than it has been in the past when industry was generous in its own support of research. Moreover, the primary benefits of research in telecommunications have in the past flowed to the public, and as I have argued here, that is no longer the main objective of the research being funded by the industry. Most federal government funding has come from two agencies – NSF, the National Science Foundation and DARPA, the Defense Advanced Research Projects Agency. NSF funding goes almost exclusively to universities and is guided by peer review of other academics. DARPA, on the other hand, funds both academia and industry and takes a much more proactive role in project management to create research programs geared to more specific military needs. In the past DARPA has contributed greatly to the evolution of telecommunications as we know it today. It was their funding and guidance in the early 1970s that created the Internet, whose further development was passed on to NSF and subsequently privatized. DARPA also led the development of optical technology at a time before the bandwidth need of the Internet was apparent, and when industry’s funding and vision were lacking. Wireless technology has also benefited greatly from DARPA funding. The CDMA technology used in many of our cellular phones today (and the choice for third generation standards worldwide) had it origins in DARPA work. These and other DARPA contributions to telecommunications were the outgrowths of DARPA policies that were aimed at improving the commercial infrastructure with the growing realization that military communications would have to rely increasingly on commercial networks in the future. Today, however, there are different policies in place, and DARPA research programs must be justified by a more immediate military need. NSF is the agency of choice when academics look to fund their research programs. Here, however, the emphasis has often been on the implementation of high speed networks connecting supercomputers for physics research. Research in communications, per se, has also taken a back seat to the programs devoted to computer science. Partly for these reasons, the supply of funds at NSF for telecommunications is far short of the demand from the academic community. It is said that the acceptance rate for proposals in this field is in the single digits of percentage of those submitted. In the last year, however, NSF has taken a critical look at its coverage of telecommunications research and has started a program on the future of Internet. State funding of research also contributes to the overall support of telecommunications. The largest such program, by far, is in California, where the California Institute for Telecommunications and Information Technology (known colloquially as “Cal-IT squared”) melds together a number of California universities with generous state support and complementary industrial funding to create a broad range of research projects. The program is managed from a large new building specifically designed for this purpose at the University of California, San Diego. A few years ago there was an attempt in New Jersey to do something similar to the California program. The plan was to put a bond issue on the ballot to fund initiatives in four areas of research pertinent to New Jersey’s talent base – one of these areas was telecommunications. The promise of ample funding (on the order of $100M) drew imaginative proposals from New Jersey’s universities, most of which proposed research programs that cut across and melded together the individual programs and academic departments of these universities. For example, one such proposal promised a new building, shared by Princeton, Rutgers, and Stevens to do research in wireless communications. Needless to say, however, the idea of the bond issue stagnated somewhere and never happened. With the downsizing of Bell Labs many of its leading researchers left the company to join the ranks of academia. Some, although far from a majority, stayed in New Jersey to teach at its four major research universities – Princeton, Rutgers, Stevens, and NJIT. Even so, New Jersey does not rank among the top states for academic research in engineering and computer science. In the US News and World Report ranking of the top 50 engineering graduate schools Princeton is ranked 18th, while Rutgers is at 47th. There is no question which state has the strongest engineering graduate schools. California has Stanford, UC Berkeley, UCLA, UC San Diego, UC Santa Barbara, UC Davis, and UC Irvine all on the list, with Stanford and Berkeley at 2nd and 3rd, right behind MIT. All research universities aspire to move up the US News list, but this is extremely difficult. For a school to move up, another must move down, and once made, reputations are very hard to change. Moreover, the school’s reputation and its resultant listing are almost self-fulfilling prophecies; the schools at the top have their choice of the best graduate students, and this infusion of talent keeps them there. Even when a university upgrades its faculty with academic stars, gifted graduate students are slow to follow. The California schools have even taken over the preeminence in telecommunications research once so dominated by New Jersey’s industrial research labs. In the 1970s the Internet grew up mostly there, with the first node at UCLA. UC Berkeley took the UNIX software from Bell Labs, rewrote parts and founded Sun Microsystems. Qualcomm in San Diego is probably the leading research company in wireless, and UC San Diego has greatly benefited from its nearness and the generosity of its founder, Irwin Jacobs, a famous communications theorist from MIT. As Bell Labs was winding down, some of the lesser famed California schools were gaining in reputation, particularly UC Santa Barbara and UC Irvine. The Cal-IT2 program is fueling a telecommunications research capability that had already become the class of the world. Aided by Bell Labs refugees, Rutgers has created a program in wireless research that has considerable national reputation. Both Stevens and NJIT have also improved their faculty and programs, and of course Princeton remains one of the country’s elite research universities. Nonetheless, the truth is that when people think of academic research states in technology, they probably don’t think of New Jersey. It would unrealistic to think that this could be easily changed. I do not think that talent and geographic attractiveness are the issues as much as culture and what I will call “connectedness.” Historically, Bell Labs dominated the technology culture and was self-contained. There were so many engineers and scientists at Bell Labs, and its locations stretched across the state. For many of its people there was no need for a larger, outside culture or presence, and none grew. Moreover, the culture inside Bell Labs was scientific, academic, and inquisitive, rather than intrinsically entrepreneurial. However, during the dot-com boom and immediately after when Bell Labs became downsized, many leading researchers left to start companies. In optical technology particularly, there were Bell Labs researchers omnipresent in the startup community. Once aroused, the researchers showed that they could become entrepreneurial. Although a number of these new companies were in New Jersey simply because that is where the people lived, many were in California and elsewhere. New Jersey has lacked a robust venture capital infrastructure, and in my opinion its has been geographically-challenged in that there is no epicenter for technology and venture capital activity, as there is in Palo Alto and Stanford. In short, I often think that there is no “there” there, just as when I’m asked where in New Jersey I live, I often resort to the exit number on the Garden State Parkway. We don’t seem to have the technology “watering holes” that I see in Silicon Valley where engineers and venture capitalists meet. During the dot-com boom and even now I find that graduate students at Stanford and Berkeley dream about starting companies, while those in New Jersey imagine scientific fame. The technology “air” simply feels different in the two places. I concede that there is unfairness in my comparison. No place in the world compares with Silicon Valley, and few come close. Only Cambridge, Massachusetts and, to a lesser degree, Austin, Texas, have similar attributes and activities. New Jersey had a past greatness and fame for industrial research and for telecommunications research. Much of this fame was due to Bell Labs, and though Bell Labs still exists, it is necessarily not what it was before. All of us who were involved there are saddened by this, but I believe that there is nothing to be done to recreate the “old” Bell Labs. Indeed, most of us would agree that not only is recreation impossible, but it might not even be desirable, inasmuch as the world has changed. The larger picture is that though New Jersey still has the biggest share of telecommunications researchers in the world, the industry itself is no longer capable of supporting them. As time goes on, that talent will migrate and dissipate. Telecommunications research has now moved to universities, and unfortunately New Jersey is just another state in the world of academia. The one thing that the state could do to change New Jersey’s decline from preeminence would be for a state initiative like that in California. The talent is there, the money is not.